We will help to build or customize your eCommerce Store. Are you waiting for setting up an e-commerce store? Well, WooCommerce and e-commerce convey a great pairing. It has some unbelievable features that make it one of the most widely preferred platforms for setting up a good-looking and user-friendly online store. The physical store is limited by the geographical area and it can run its activities within a scheduled time period. The whole world is your playground; if you have an e-commerce website. Prospective customers can shop by reviewing products or services on your site and make a purchase online from their comfort zone. Have you decided to build eStore? Have you taken a decision to build an eStore? Are you tired by searching the answer that which is a suitable e-commerce platform for your online store? Undoubtedly, you’ve heard about the most famous and worldwide-used WordPress plugin – WooCommerce, yet have your doubts? whether it is the best eCommerce platform or not? Don’t worry, we will help you to understand the pros and cons of it and how to build your e-commerce store with WooCommerce. You’re probably asking now what’s so special about WooCommerce and why is it the first in the world? 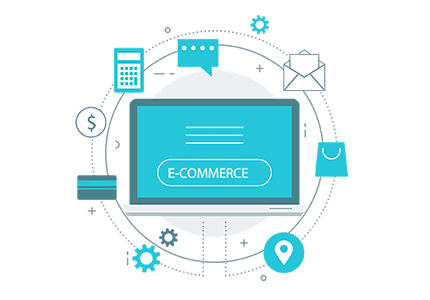 Well, WooCommerce is the e-commerce extension of WordPress, the most popular content management system, powering 25% of all the websites worldwide. It will be more clear to you if you start to communicate with us. WooCommerce powers over 28% out of 100% all online stores, and is now the most popular eCommerce platform on the web. Ready To Start a New Project ? Do you have any question about eCommerce? Our expert team is always ready for giving you the answers to any questions about eCommerce. If you have any question, please contact us.